Half Marathon Training: When are You Ready for It? 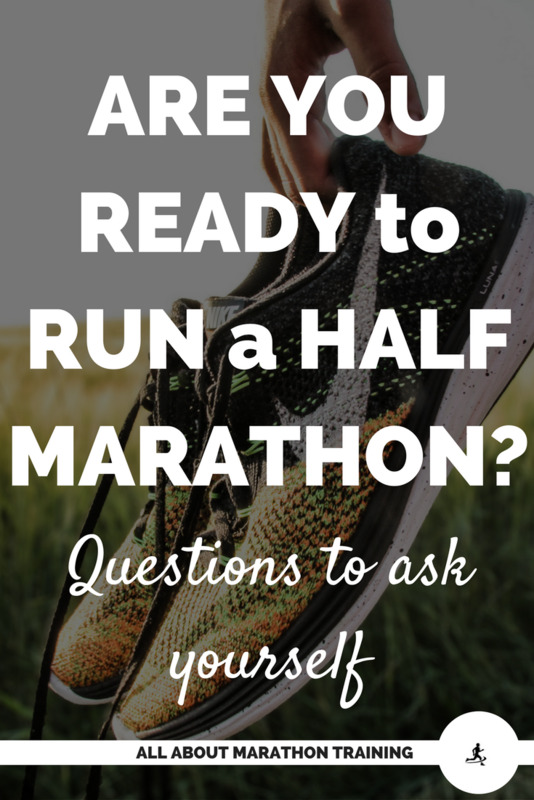 When are You Ready for Half Marathon Training? 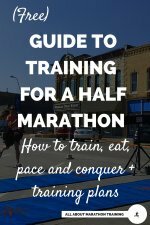 So you want to start half marathon training. Yay! Are you ready though? Half-Marathons are quite different than a full marathon and yet you still want to have a baseline going into Half Training mode. 1. ARE YOU FIT TO EXERCISE? Running is considered to be a moderate (64-76% of predicted maximum heart rate) to vigorous (77-93% of predicted maximum heart rate). Therefore, as when starting any physical exercise program, you should do some kind of risk assessment to see if you are capable of handling half marathon training. The standard risk assessment developed by registered exercise physiologists and approved by the American College of Sports Medicine, is the PAR-Q+. Click on the link and you will be taken to a 2 minute assessment form that will help you determine if you need to check with your doctor before beginning this half marathon challenge. 2. HOW FAR CAN YOU RUN? Let’s consider your fitness level. The standard measure of aerobic fitness is measuring your VO2max. Can you walk a mile? Can you run a mile? As a potential half-marathoner try to aim to be able to walk or run 3-4 miles at one stretch before starting this training program. Your first “long run” will be 4 miles so this will give you enough cushion to progress at a healthy pace that is not too fast for you. If you can’t quite make it 3 miles yet then I recommend taking the time and develop a solid base. 3. HOW MUCH TIME CAN YOU COMMIT TO TRAINING? Now let’s look at how much time you have. Obviously, training for a half marathon will take a certain level of time commitment. Are you willing to take time out of your life to walk or run at least 3-4 days a week? This includes a long run which most runners like to do on the weekend. (This plan schedules it on Saturdays.) Are you able to set aside that amount of time for your training? If you are married, is your family willing to let you take that time for running? The great thing about this program is that you can be half-marathon ready in 6 weeks – not much time at all! Barely enough time to drive anybody nuts with your enthusiasm either! 4. HOW ARE YOU FEELING? Are you suffering from any injury? Have you been feeling weak or under the weather? If so, now is not the time to start a half marathon training program. Going on long runs does have an effect on your immune system. Overall your immunity will become better, however after those longer runs it will not be as up to par. That is why you want to make sure that you are feeling up to the challenge and that you are not already fighting off ailments. 5. HOW MOTIVATED ARE YOU TO RUN A HALF MARATHON? Do you have the mental drive to handle 13.1 miles? Do you have the determination to go through the training, the cross training and the long runs? If you find yourself not quite hungering for the hardships of training then maybe give yourself some more time. Running races really can be some of the best times! Just make sure that it is really what you want to be doing at this point in your life and then make it happen. Here are some more things to think about before jumping into a training plan. Why do you want to complete a half marathon? Actually get out some paper and write down your why. Tape it to your computer screen, or mirror, or nightstand, or somewhere you will see. What is your goal in running the half marathon? Write that down to. Having a clear, articulated goal will keep you focused and determined. Do you have people to help you and support your goals? Think of at least 2 people who can keep you accountable/motivated/train with you. What Half Marathon Training Plan Suits You Best? The good news is that even if you haven't worked out in awhile you CAN run a half marathon with the proper training. Remember it is a race for everyone - and you don't have to run the whole thing (or any of it) if you don't want to. (Making a goal to just walk 13.1 miles is a feat all in itself!) Just plan a little more time in order to have a successful race. As a beginner it can be hard to start a regular running routine. That is why the Beginner 16 week half marathon plan incorporates cross training into the running. The idea is to build your cardiovascular health, endurance and stamina while not placing all the stress of running on your body. You are in for a fun ride! I invite all you beginner half-marathoners to become full fledged running addicts! 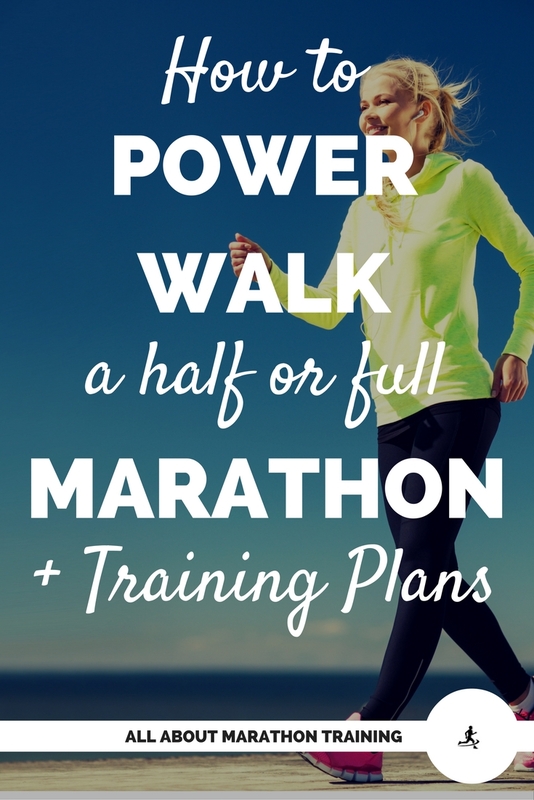 This 16 Week Half Marathon Walking Training Plan is right for you! Almost anyone who workouts regularly is ready to start training for a half marathon. They have the cardiovascular health and probably a good baseline for building endurance. Exercises such as biking, swimming, tennis, aerobic dance, and really anything aerobic that one has been doing is a great foundation for half marathon training. If this is you I suggest you follow the 6 weeks to a Half Marathon. This will ease you into running, not pushing you too hard but getting you race ready in 1.5-2 months. If you feel that training for a half marathon is too fast paced for you, you may also find that the 12 week program is more up your alley as it allows you to complete training in twice the amount of time. We also have a A 13 Week Summer Half Marathon Plan that is perfect to start around June 1 and finish it around Labor Day! Talk about Summer goals! Ok so you already know you can handle a half marathon. You are probably looking for a PR in a half marathon and it will be yours with the right training program. The following is for you. 1. 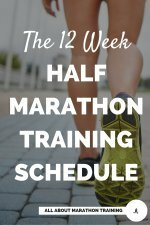 Choose the 12 Week Half Marathon Program. 2. Add Hill Training into weeks 4-6. 3. Add Speed Training into weeks 7-12. The combined hill training and speed training will get you ready to go for a time goal. You will KNOW when you are ready to run this race. Don't trade valuable training runs for a guilty conscience! I believe that anyone with the right amount of determination, mental tenacity and training can run a full marathon. It might not be the best option for some but it can be done. A half marathon on the other hand is for everyone. It is a great distance that is not too long but also is long enough to give one such a great sense of accomplishment. And remember "Half the distance, Twice the fun!". So are you ready for 13.1 miles!? 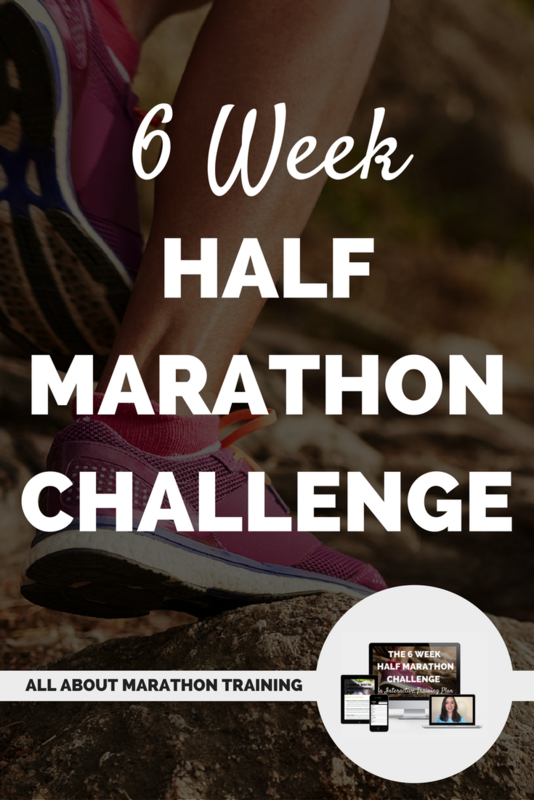 6 Week Half Marathon Challenge!